to involve all the people of the parish in promoting the social, educational, cultural and economic welfare of the community. to develop and improve the town of Kinvara and its environs for the benefit of the community, campaign for few facilities and infrastructure. 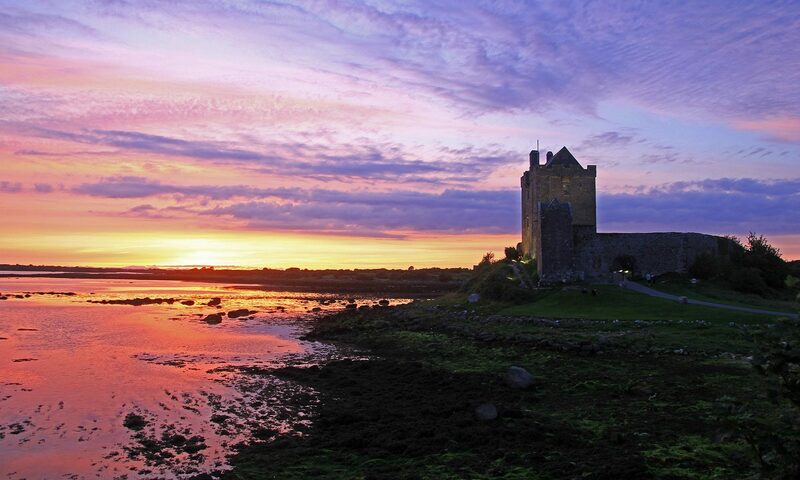 to protect and preserve any natural view, park, historic monument, interesting landmark or ruin in Kinvara or its vicinity. Support the development of community groups. to act as the representative body of the Community of Kinvara at Galway Co. Council level. Kinvara Community Centre is committed to enhancing the health, social and artistic well-being of our community. Built in the mid 1970s by the community, the building was structurally improved and refurbished in two stages in 2001 and again in 2005. The centre is run by the Kinvara Community Council which is a voluntary group who employs a part-time Administrator/Caretaker. The centre is situated in the centre of the village with car parking facilities. It consists of a main hall with a capacity of 380, a meeting room combining a fully equipped kitchen, toilets and wash-hands units including two toilets for the disabled. The facility is wheelchair accessible. St Coman’s church and graveyard Kinvara. Making a connection. Kinvara Heritage Group will present a summary of our work researching and conserving the mediaeval church of St Coman’s hidden in the centre of Kinvara. We are interested in exploring the historical connections between our existing communities and generations of previous Kinvara residents. 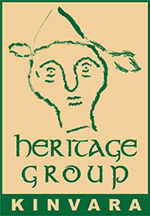 To celebrate Heritage Week we will hold a meeting on Friday 23rd August at 7pm in the meeting room of Kinvara Community Centre. Speakers include Emer O Donnell of Burren and Beyond who will speak on the importance of preserving heritage and the function of archival research. Also members of Kinvara Heritage Group will give a visual presentation on the methodology and findings of our research into St Coman’s. The Kinvara Tidy Towns has as its primary focus the encouragement of the local Community to improve the local environment in order to make the town and its immediate environs a better place to live work and visit. The group enter the Tidy Towns National Competition each year, with judging usually between June and August each year. There are several categories judged; The groups contribution to Wildlife Habitats and Natural Amenities, Sustainable waste & resource management, and the conservation of historic buildings. There is a lot being done and as always there is a lot more to do. We are constantly looking for volunteers. If you feel you could make a small contribution, please come along to one of our weekly meetings held in the Community Centre on Tuesday Mornings. For further information contact communitycentre@kinvara.ie.